Welcome visit our website and wholesale quality new design wholesale large size oem glass shower enclosures at competitive price from our company. Outside:5 layer Exporting Carton Box. 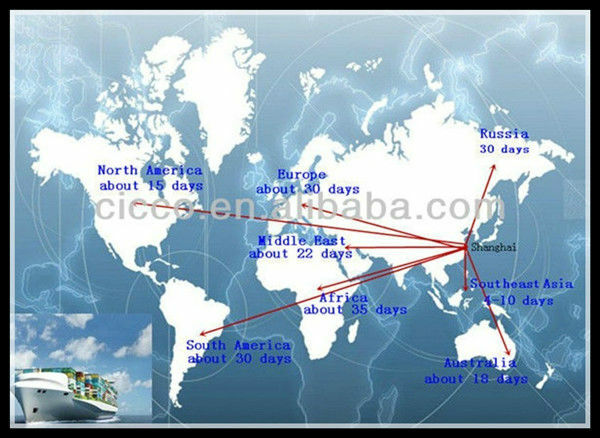 Shipping Marks As Per Customer's Request. Adjustable chrome shinning aluminum alloy. Two pieces of fixed glass and two smooth sliding doors. 15 cm height ABS tray. Other accessories:Wheels,channels,water bar,door handles and so on. 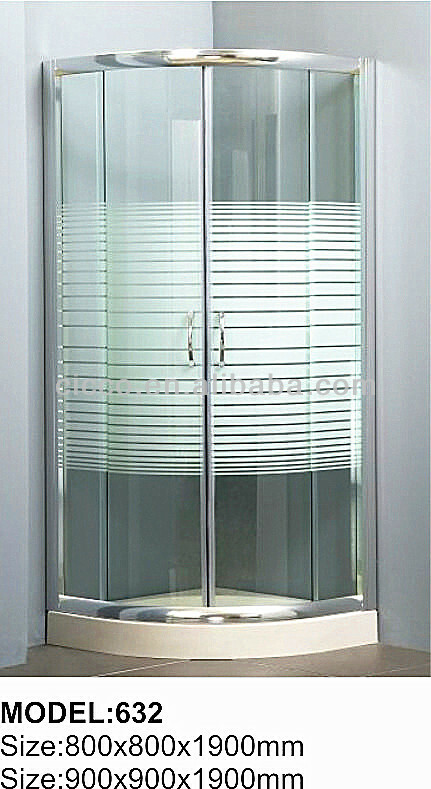 Pattern of glass,Transparent,Matt,Grey,Blue is available. A. 30% T/T in advance, the balance against B/L copy. B. L/C acceptable for total amount above Ten thousand US dollars. Within 20-30 days after receiving the deposit. 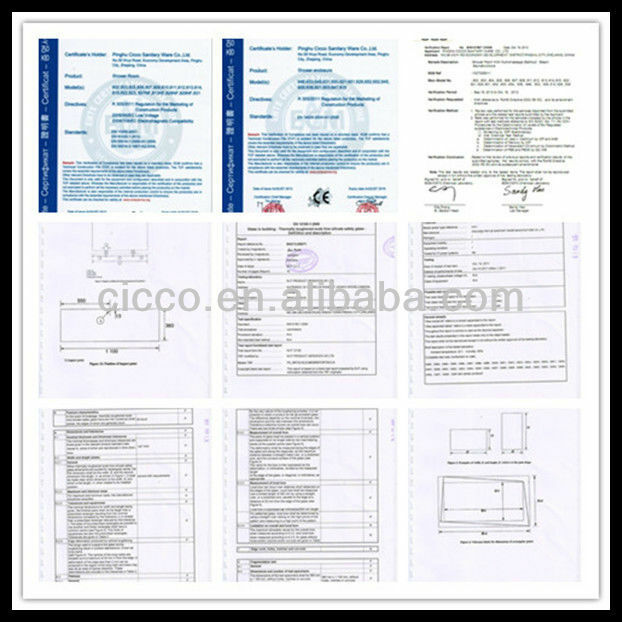 10 units,we also accept test order. 1. Competitive price and reliable. 2. Easy installation,Artistic but unaffected. 3. High strength and good safety. 4. Good thermal-resistance being available to certain change of temperature. 5. Good performance of anti-pollution being cleaned easily. 1. The Item C632 shower enclosure is a high quality quadrant shower enclosure providing style and elegance to any bathroom. Complete with two smooth sliding doors and a high polished chrome frame with toughened safety glass this stunning shower enclosure will create a modern look in any new bathroom, ensuite or shower room. 2. Our sliding shower enclosures will provide any bathroom, en suite or shower room with a luxurious and elegant atmosphere. The luxurious proportions ensure that you can enjoy an enclosure which is designed with not only in depth in mind, but height as well. 3. To be manufactured from 5mm toughened safety glass, which is highly durable and easy to clean. The easy access doors come fitted with a full length, cushioned, watertight magnetic seal, so that you don’t have to worry about any leaks. We want you to know that you can have complete faith in your shower enclosure. 4. So that you know you are purchasing a durable shower enclosure that is more than prepared for the rigours of daily use, we test our enclosure doors 250,000 times in our special quality control procedures, guaranteeing that they are manufactured and assembled to the highest standards. 1. 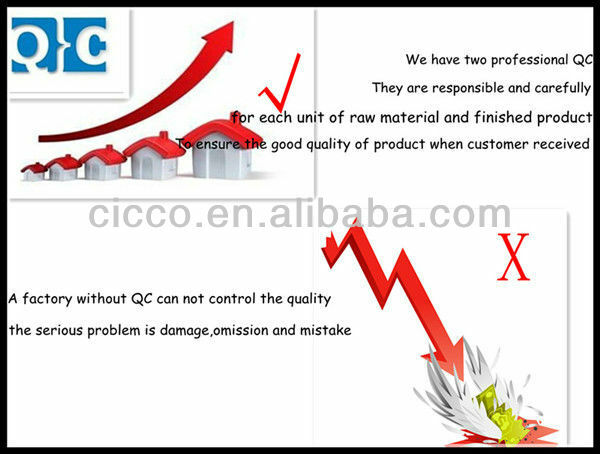 Tempered glass should be consistent with national safety CCC standards and CE standards. 2. Impact resistance/Fragmented State should be required GB 15763.2-2005 of agreement. 3. Appearance requirements should to be met national safetystandards. 4. The Grain number of each 50 * 50mm area should to reach 45 Grains or more. 2. The Product frame decorative surface should no burrs, flaw. 1. Each connecting piece should to be solid, no loose. 2. Accessory should no defect and must be fixed with products. 3.The hose and inlet should no leaks. 4. Each accessory should to be complied with the requirements of environmental protection, no UV ozone and other hazardous substances. 1.One unit of product,one carton, Individually wrapped. 2.Using 5 layer carton box which should to be accord with exporting provisions.Shipping marks as per customer’s request.